Dubai: Former US Open champion Samantha Stosur crashed out on Tuesday in the first round of the Dubai Championship 1-6, 6-2, 6-4 to Estonian Anett Kontaveit. After winning the opening set, Stosur lost the second and then trailed 2-5 in the third, reaching 4-5 but double-faulting on a Kontaveit match point to go out. 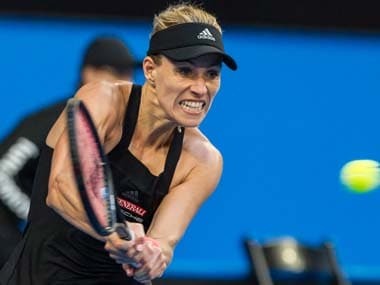 Former number one Angelique Kerber shrugged off a break in the first game of her match against Czech Barbora Strycova and won 6-2, 6-1 to move into the second round. "It's always tough to play her, but I was just focusing on my game," the ninth-ranked Kerber said. "I was playing aggressive and going point by point. "I'm feeling great so far this season, winning matches is really a great feeling, it's always important for me." Stosur had been forced to qualify for a tournament for the first time since Zurich in 2008 and won three times over the weekend to reach the main draw. Before arriving in Dubai, the 33-year-old Australian had lost five matches and only won twice in 2018. Stosur was plagued by eight double faults, was broken four times and managed a single ace as she lost in an hour and three-quarters at the Aviation Club. 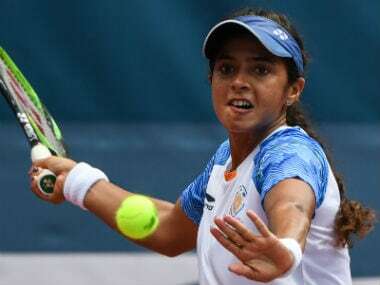 American CiCi Bellis advanced past Belgium's Australian Open semi-finalist Elise Mertens 6-3, 6-3 while Wang Qiang of China beat Kiki Bertens 6-3, 6-0 in 55 minutes. Spain's Carla Suarez Navarro beat Russia qualifier Sofya Zhuk 6-2, 6-2. Wildcard Bellis, a 2017 quarter-finalist here, earned a date with second seed and current Wimbledon winner Garbine Muguruza a week after beating US Open finalist Madison Keys and Karolina Pliskova in Qatar. "I've never played her before. It's definitely going to be a new experience for me. It will be fun. 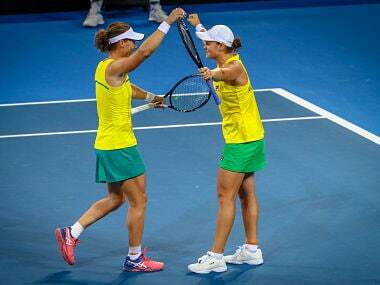 She's an unbelievable player," Bellis said. "She's been at the top of the game for a while now. It will be great for me just to see where my game lines up against another one of the top players."